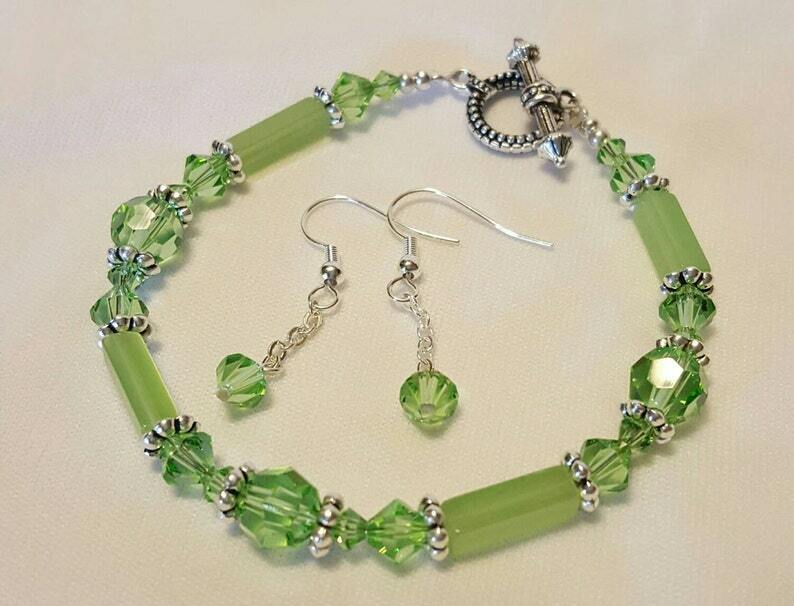 Green swarovski crystal bracelet and earring set. The bracelet will fit up to a 7 1\/2" wrist. Note, this bracelet WILL stretch out. I have one of my own and it was tight when I first started wearing it, but it stretched out after a bit and is comfortable to wear.